A SETI (Search for Extra Terrestrial Intelligence) experiment happened decades before Project Ozma -the pioneering SETI project started in 1960 by Cornell University astronomer Frank Drake, at the National Radio Astronomy Observatory at Green Bank, West Virginia. 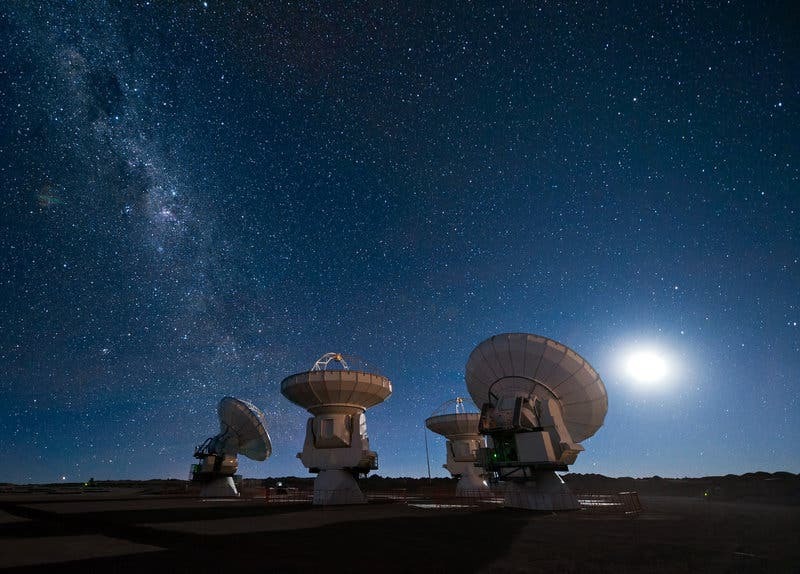 The object of the experiment was to search for signs of life in distant solar systems through interstellar radio waves. 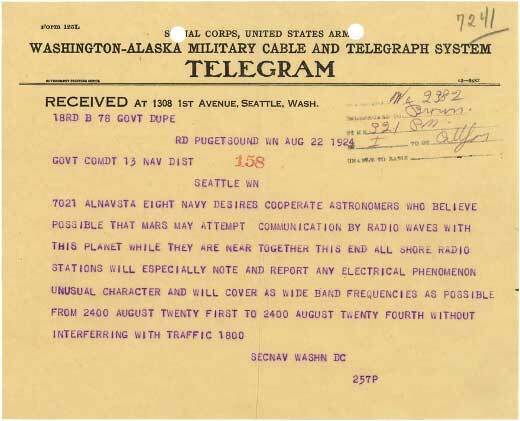 Historians at the blog "Letters of Note" uncovered a telegram sent in 1924 by the Chief of Naval Operations, Edward W. Eberle instructing all Naval stations to monitor the airwaves for any unusual transmissions due to anticipated contact from Martians. August 22nd of that year was witness to the closest Mars opposition since 1804 (a mere 55,777,566 km), and as such provided desirable conditions in which to receive radio signals from the Red Planet. The man tasked with clearing the airwaves – a Professor David Todd – somehow managed to persuade both the Army and Navy to report any findings for a three day period, but failed to silence the country's private radio broadcasters for even two days. Needless to say, the three day exercise produced nothing but static.